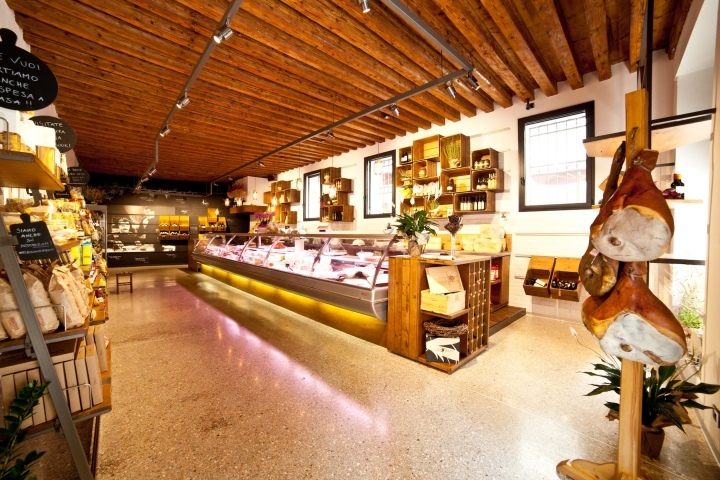 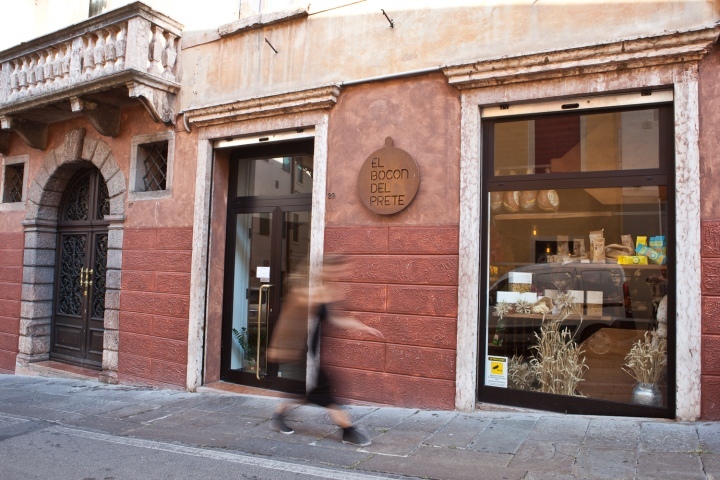 Situated in Bassano del Grappa, a charming medieval town in Veneto, the new store “EL BOCON DEL PRETE” is located on Via Gamba, next to the renowned wooden bridge of the Italian architect Andrea Palladio. 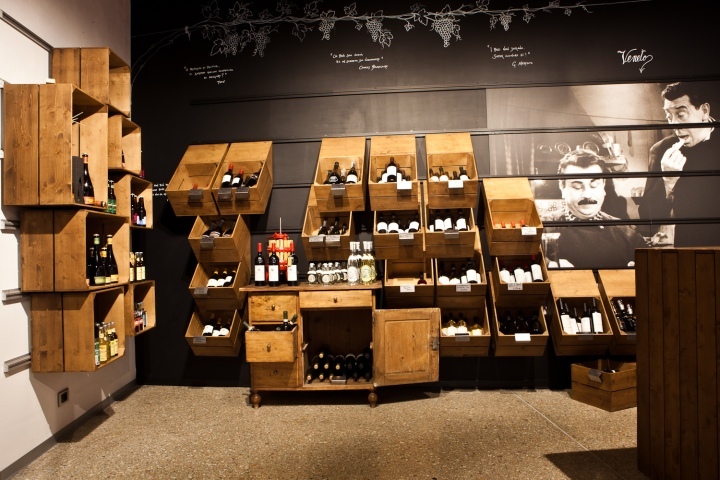 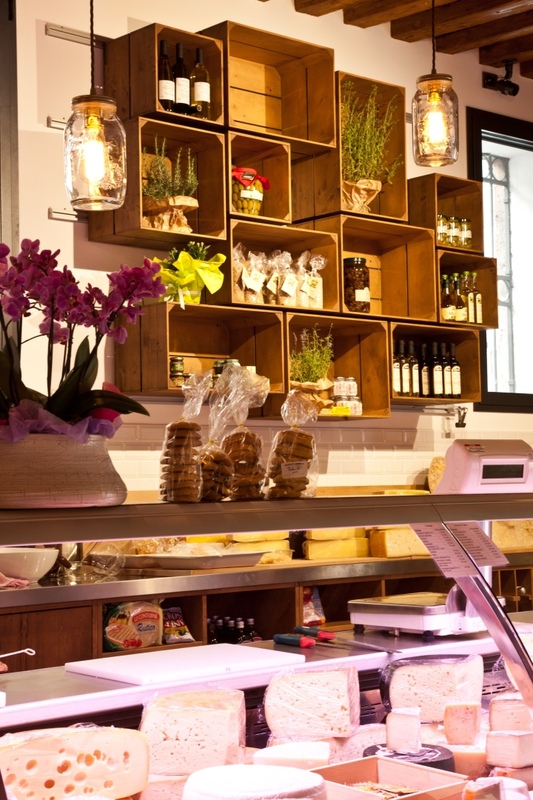 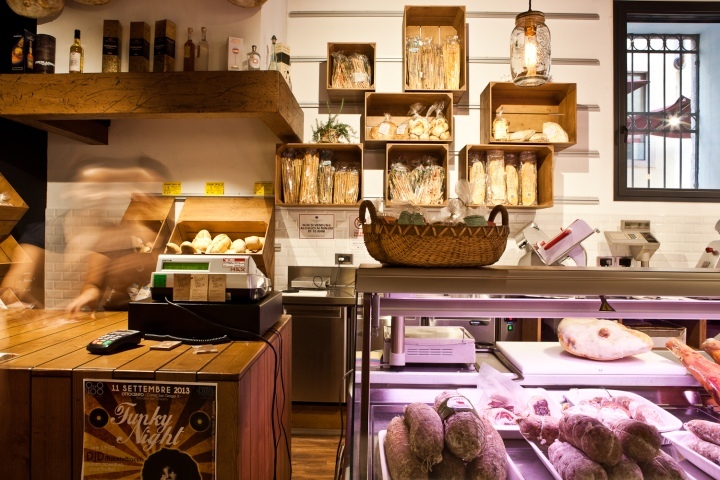 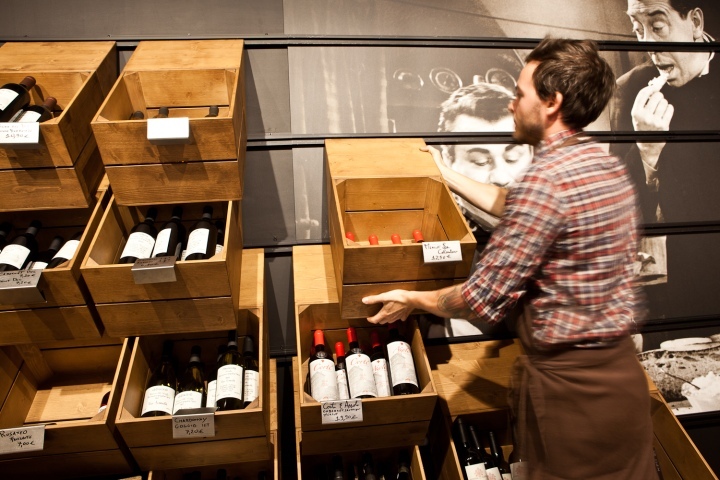 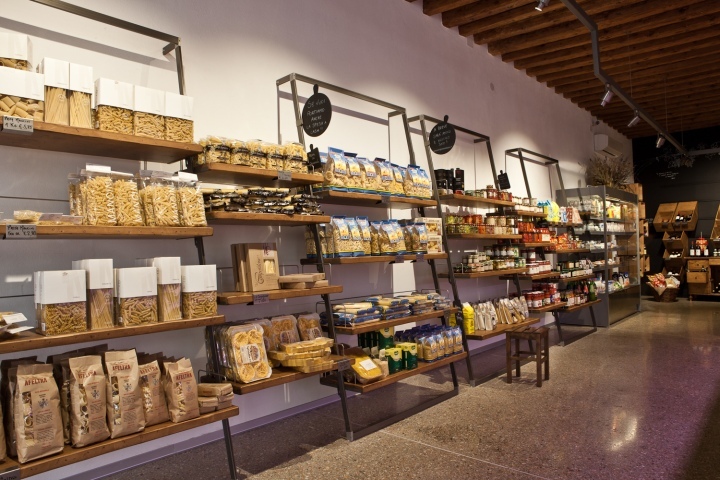 The idea behind the shop was to create a unique grocery shop encompassing both tradition and innovation. 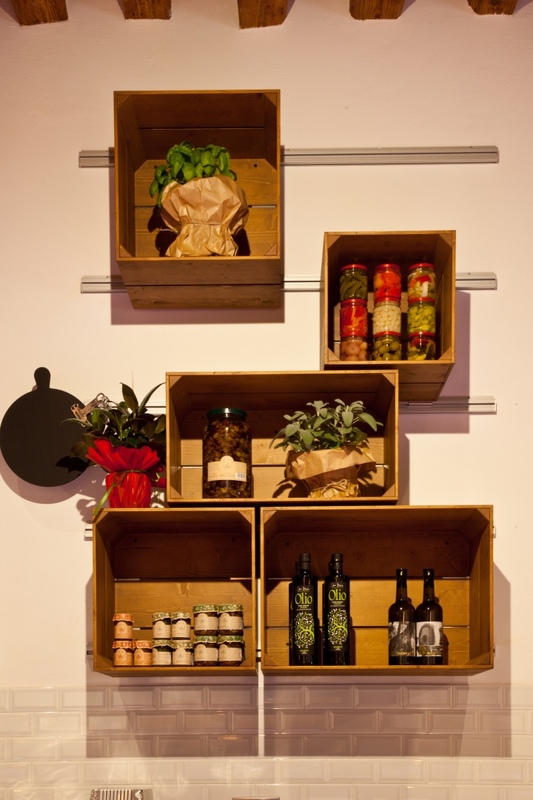 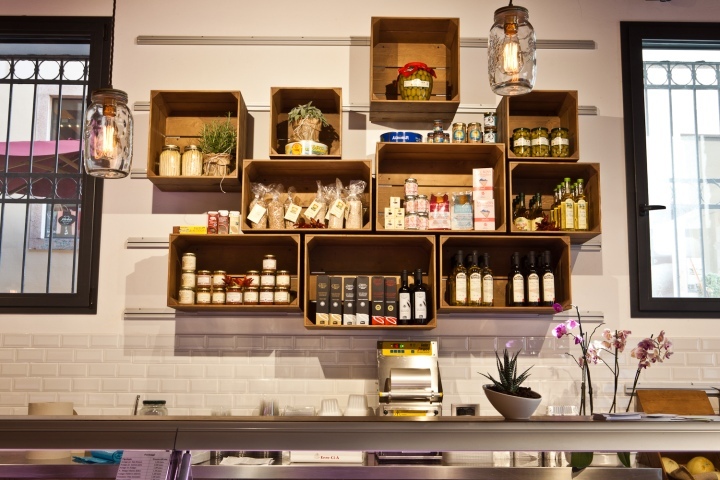 A space that ties simplicity to the high quality of the products on offer. 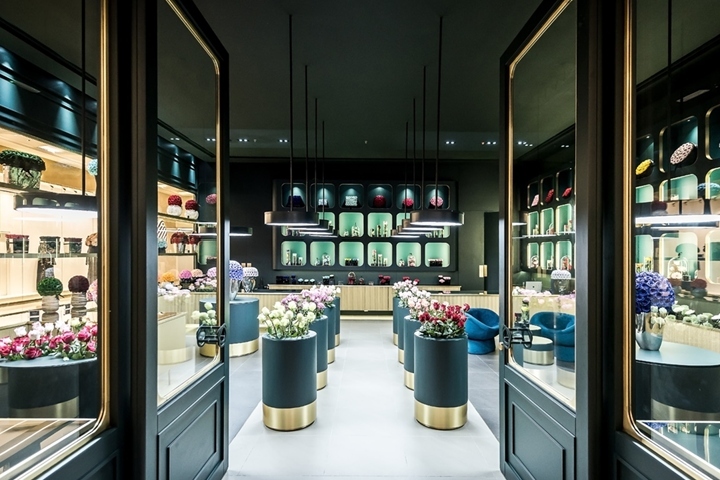 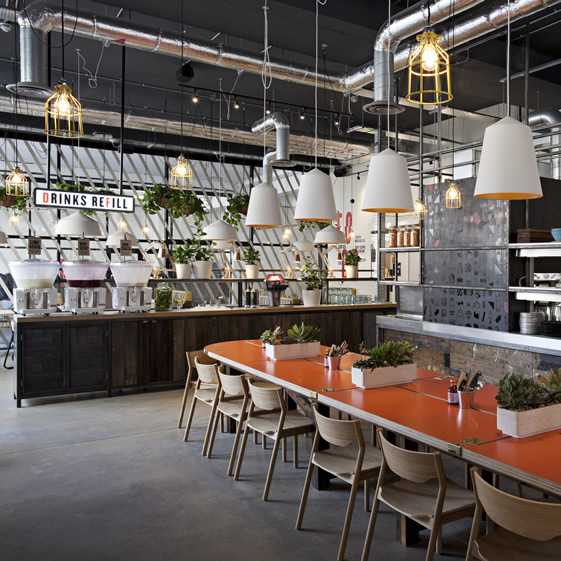 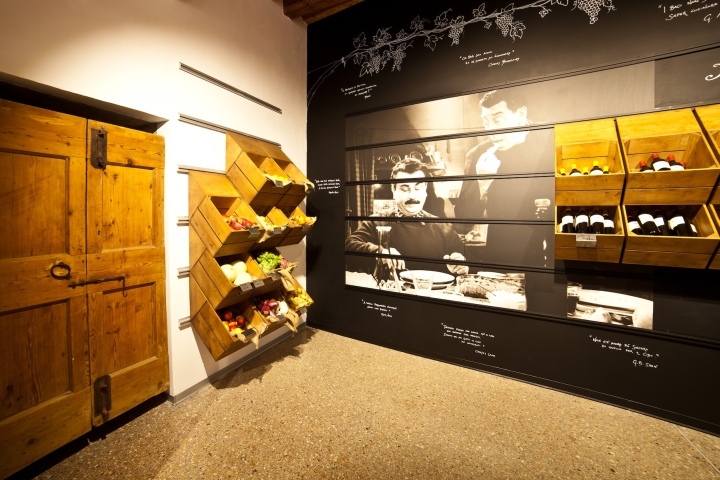 The entire concept was drawn by architect Filippo Remonato, who sought to use simple, yet essential systems to recreate an environment that aims to take its customers on a stroll down memory lane. 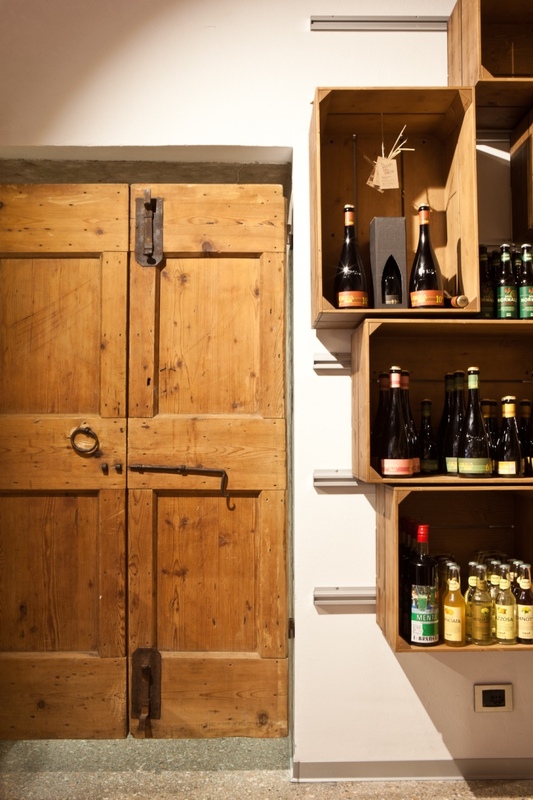 Different sized wooden boxes, white diamond tiles, Bormioli jars and the hood of a fireplace; these are some of the elements used to emphasize the deepest roots of the architectural heritage, and the memories of everyday life. 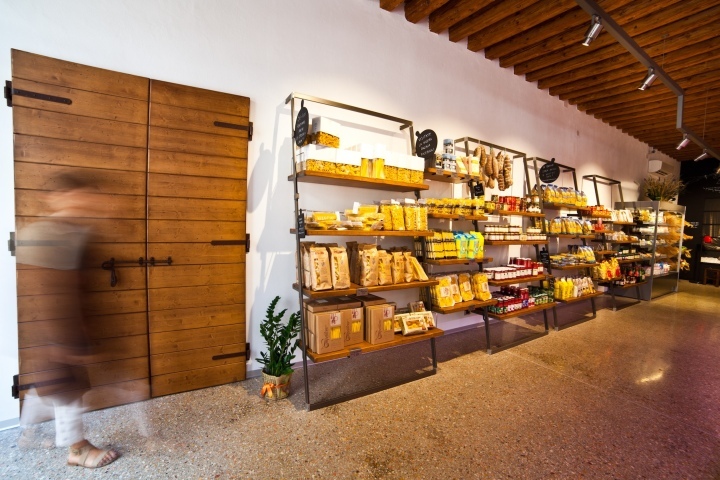 To animate the space and fulfill the creative idea, the architect used the Italian made ALU systems, specifically Slash and Slider. 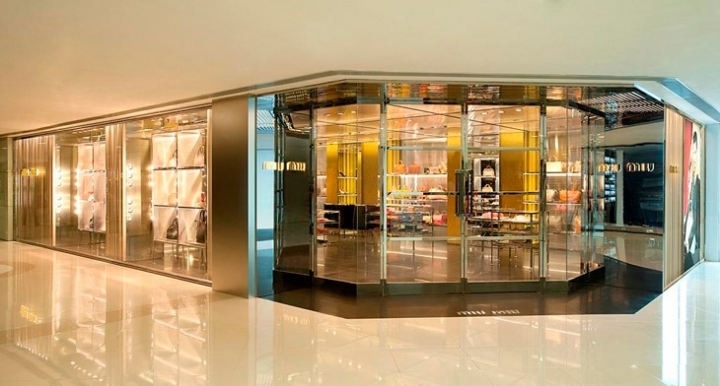 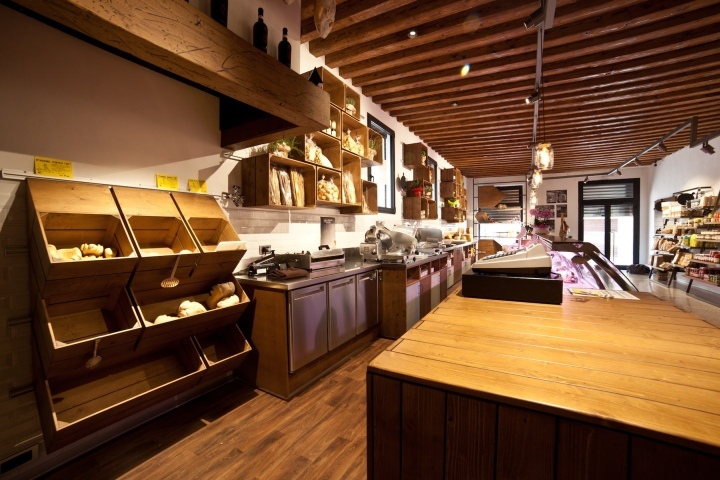 Seeking to implement flexibility to the store, the dynamic function of the space was achieved. 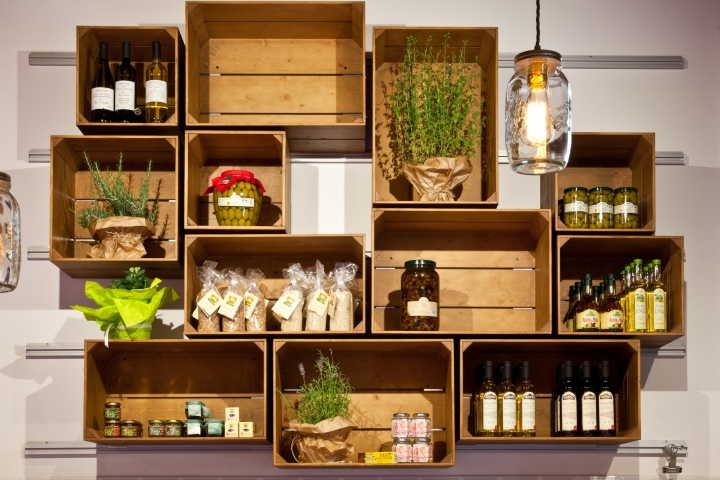 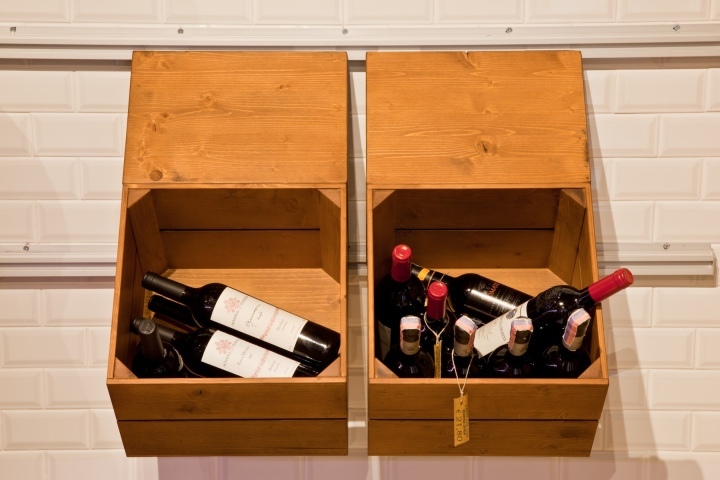 Each wooden box can be easily moved between rails without any tools. 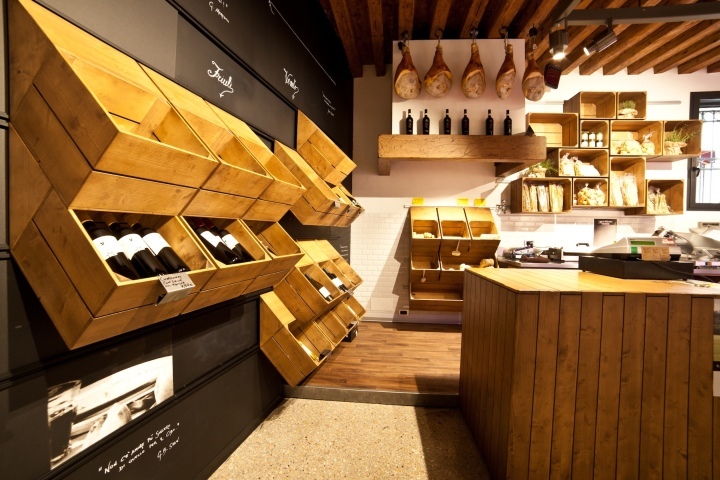 In order to use the space to the maximum, the shelves on the Slash fitting allows their re-positioning to a specific height designed to fit for purpose. 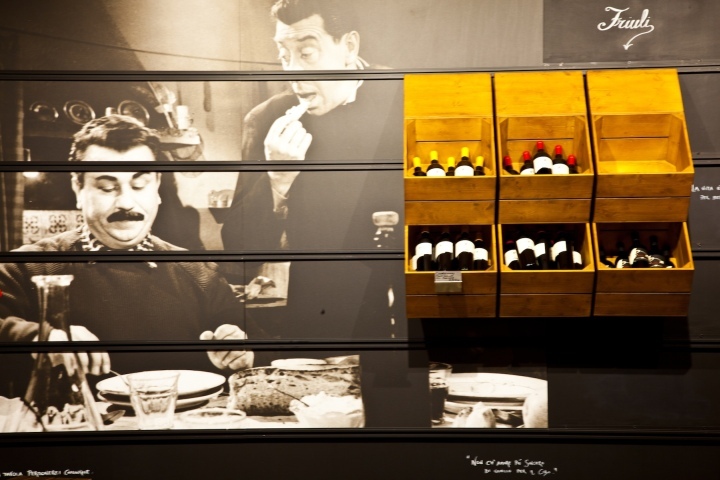 Other accessories were used as a functional solution for easy communication. 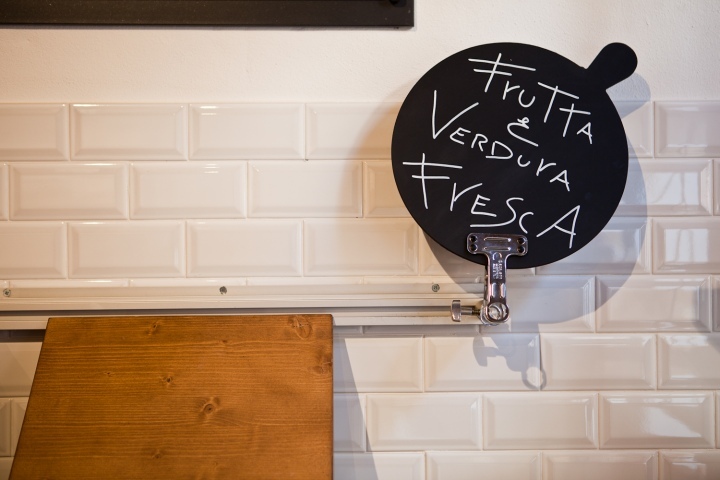 The concept meets the growing demand for healthy eating, which retrieves from the past, the knowledge and the foundations of Venetian cuisine. 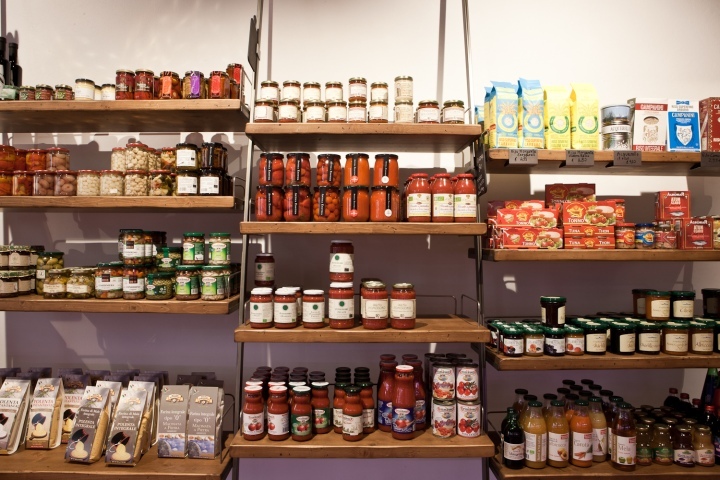 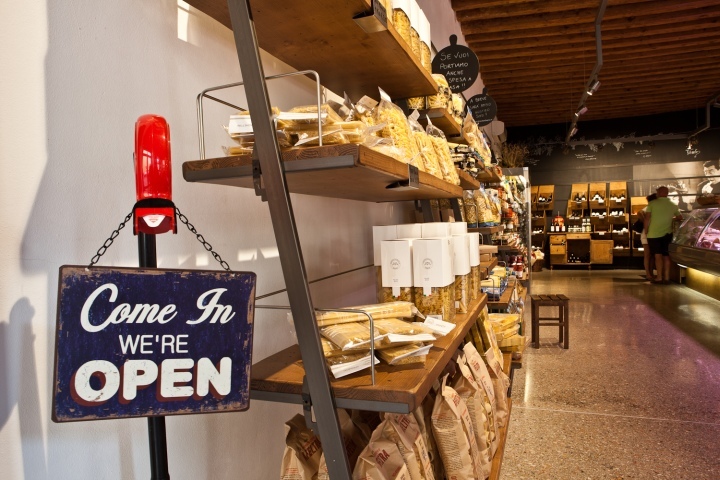 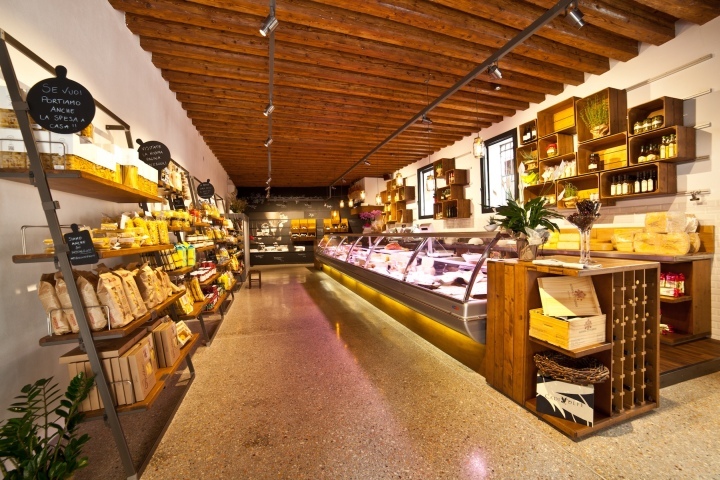 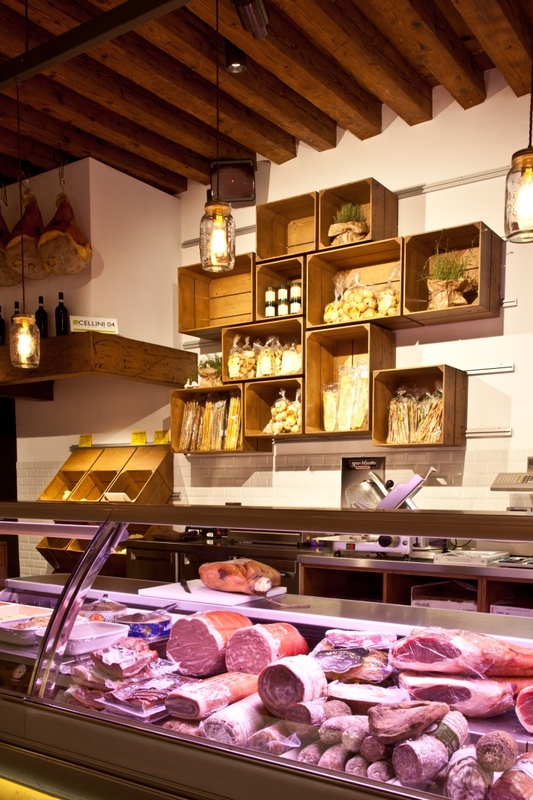 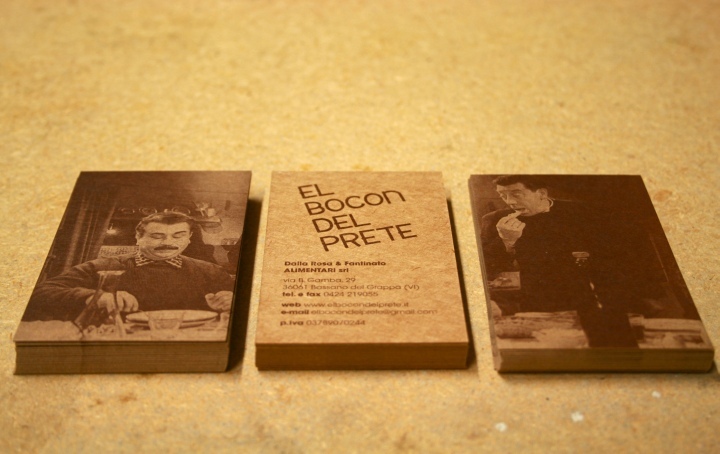 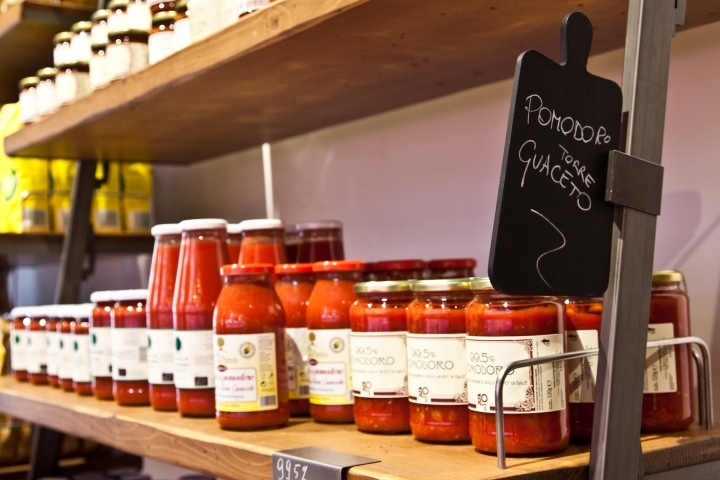 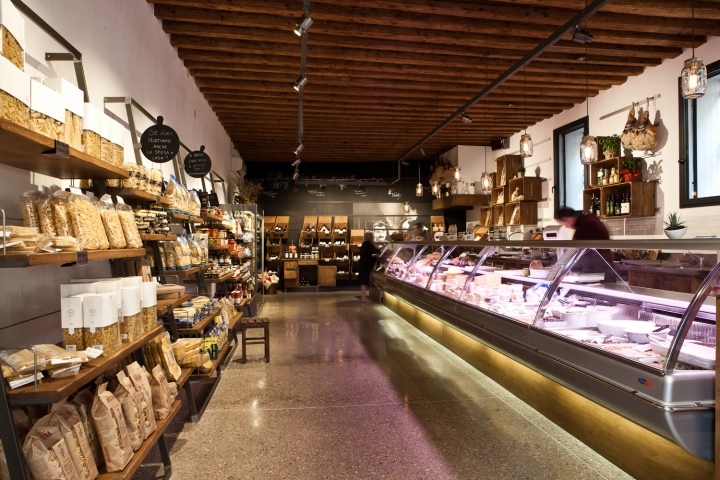 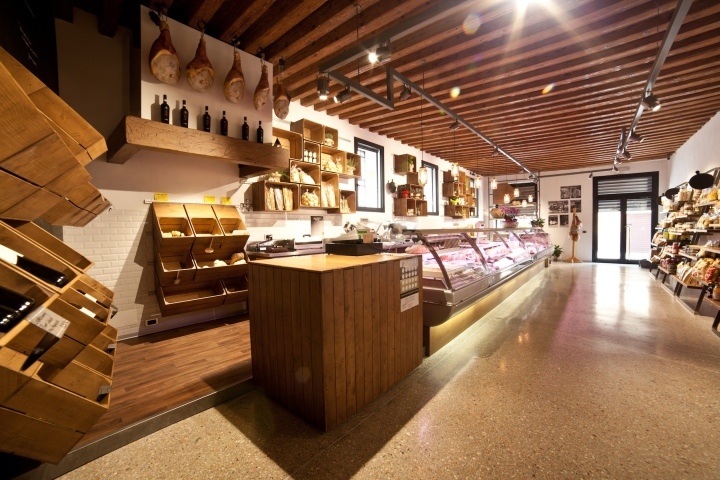 The goal was to create a sensory journey guiding anyone who enters the shop, in the search of authentic Italian flavors.